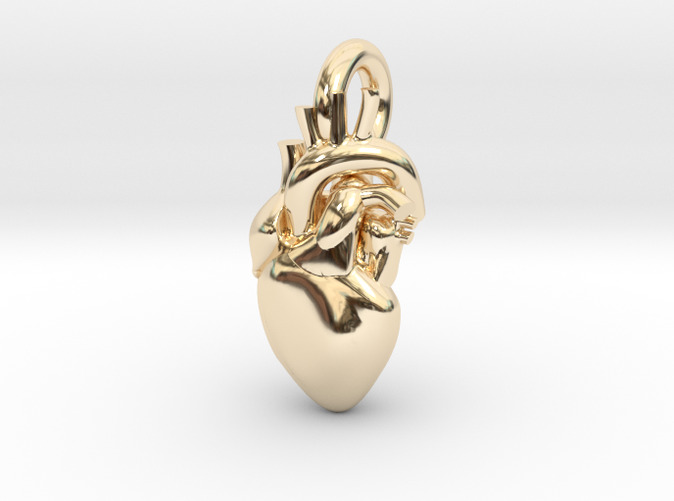 This beautiful human heart shaped pendant is the perfect gift to your loved one. Beware of larger models, they tend to feel very heavy around the neck. This pendant is modeled from a real heart and has a large eyelet (4.5mm diameter hole) for directly fitting on a chain/cord.